Each day as consumers, we are bombarded with messages, information, brands, and businesses vying for both our attention and our purchasing decisions. It can be hard to stand out from the crowd. 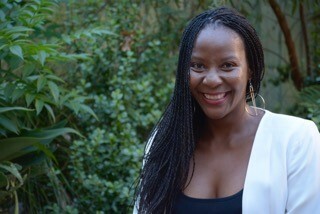 But help is at hand from South Africa based specialist marcomms expert, Que Lebatha, founder of the consulting company that carries her name. LoA spent time chatting to the energetic and ever-smiling Que Lebatha last month to learn more about this niche marcomms company on the move. In a nutshell, Que Lebatha Consulting is an integrated Marketing Communications agency that provides companies with services that help them shine. We do this by working closely with our clients to ensure they receive the right combination of Public Relations, Social Media and Event Management services. "Life has a beautiful way of combining elements together, and Que Lebatha Consulting is ultimately an amalgamation of every experience that has gotten me where I am today." My love for events set the stage for the company. I’m passionate about theatre and studied Sports Management having realized that some of the best and grandest productions that happen all over the world are linked to international sporting events. Doing my degree taught me how successful event management comes from focusing on every detail, and working with a lot of moving parts. What really got things moving for me was when I quit my corporate job (after working for over 12 years) because I was feeling frustrated at helping contribute to other people’s dreams and not my own. While I was on sabbatical, I had the opportunity to work on a few projects such as year-end functions, and conferences on a freelance basis. That then escalated to doing PR and social media projects too. I finally later got the confidence to take the leap in February 2015 and officially register my company. The rest is, as they say, history. Life has a beautiful way of combining elements together, and Que Lebatha Consulting is ultimately an amalgamation of every experience that has gotten me to where I am today. My service offering is an amalgamation of my 12+ years’ experience, qualifications, zeal, tenacity, and all the lessons I have learnt along the way to offer a premium service to those who need it. We strive to understand your business as best we can so that any-thing we then do for you, comes from a place of truth - and so far, the people I’ve worked with are happy with that. It often blows my mind how almost 90% of our clientele was acquired purely through referrals, and that’s largely because a central part of my business is about forming a real connection with my clients. "I strongly believe in the power of building connections with people. This has helped me curate a powerful network of female entrepreneurs who I contract each time I need assistance with large projects." My team consists of authentic, hardworking females who are love what they do, and are really good at it, and because of that, so is my business. I strongly believe in the power of building connections with people. This has helped me curate a powerful network of female entrepreneurs who I contract each time I need assistance with large projects. Central to the success of entrepreneurs is the joining of forces, so I make it a point to work with people who excel in their respective roles (especially ones I myself may lack in) so that I offer an excellent service to my clients. I am blessed to come from an extremely entrepreneurial family. My grandfather, parents and a lot of my aunts and uncles are business owners and entrepreneurs. I suppose growing up in that environment planted the seeds of one day having my own business. One of my first jobs was packing plastic bags at my mom’s butchery, then working the till at my father’s dry cleaning business. At the same time, I was also passionate about making and selling bracelets at the flea market in my primary school. That said, this journey has probably been the most difficult thing I have ever done in my entire life, but I still wouldn’t change it for anything. Entrepreneurship has made me more resilient, and I now know the true meaning of going after the things you want in life. I have poured my whole self into my company, and although it gets difficult, the people I have around me, and the passion behind my company, enable me to stay on this path and do everything to the best of my ability. The plan is to grow; not in the gentle sense, but in the powerful, definite, become-an-international-name, sense. That’s where my vision is. I’m a risk taker and a dreamer whose head is in the clouds but who is also grounded with the need to make things happen. Practically that means writing down my goals and putting them into a workable five-year plan, ten-year and twenty-year plan. I definitely want to have a permanent team because in so doing that I can create job opportunities and also free up some of my roles and responsibilities in order to allocate time to expanding the services offered to clients, thus taking the consulting firm to greater heights. "Entrepreneurship has made me more resilient, and I now know the true meaning of going after the things you want in life." Build your brand; it’s very important to believe in what you have to offer in the world, and then to wear that on your sleeve and completely be about that thing. This means ensuring things like having a professional email address (Google Business, for example), a business card, cleaning up your LinkedIn profile, and setting up a free website - these are all simple steps that tell the world that you are taking yourself seriously. Once that happens, any business you start from there already has a solid foundation on which to stand. Know your WHY; I cannot stress this enough. Entrepreneurship has its peaks and valleys, and it’s when you’re at your lowest that you will need to know why you started in the first place. Have a support system; find a mentor or someone who can keep your accountable and who knows your goals. This comes in handy and will be key to not only getting your business off the ground but letting it thrive and helping it grown too.